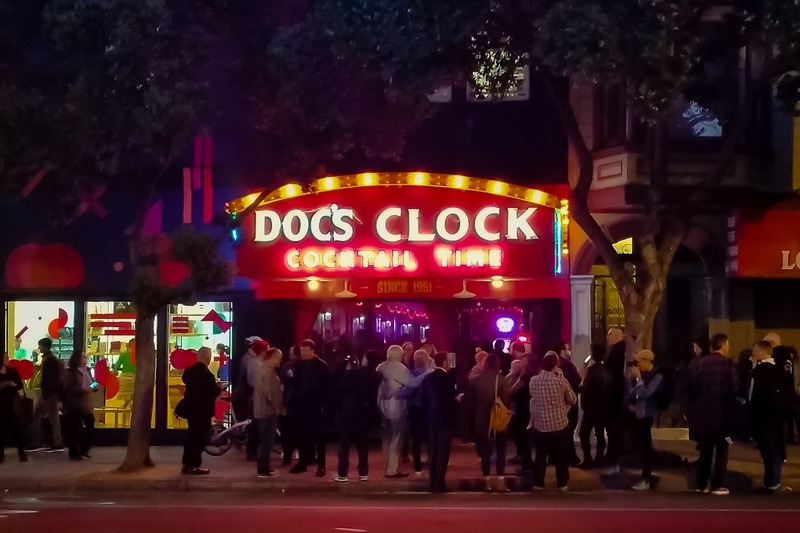 Doc's Clock just received word that their beloved sign can come live with them at their new home at 2417 Mission Street! 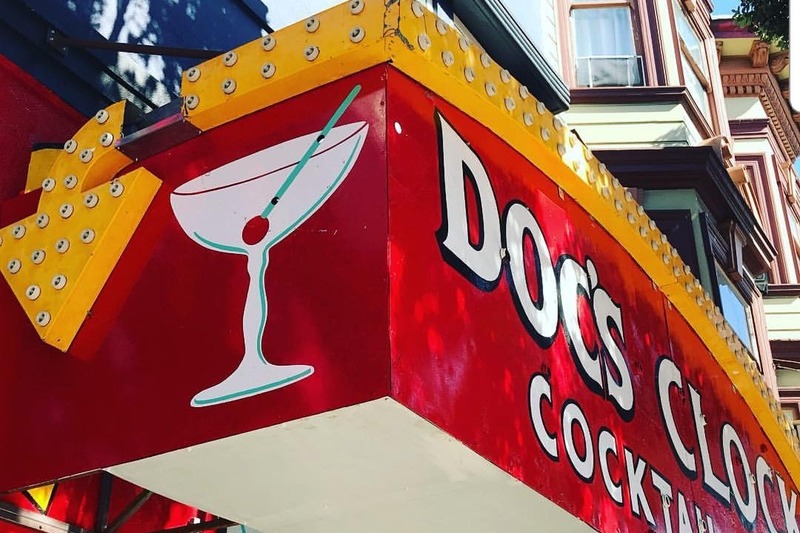 It's been a hard fought battle to keep Doc's in the Mission since losing their previous lease in 2017, a plague afflicting many historic bars in a changing City, but through the tireless efforts of Doc's owner they now have a 20 year lease in a space that feels like home. The only thing missing is the unmistakable trademark sign. I'm asking that the community comes together to help them bring their sign home. The cost to accomplish this is significant to a small, independent business owner, so any little bit helps. Please consider donating to this cause either here, or at their benefit on March 2nd which will include a silent auction. 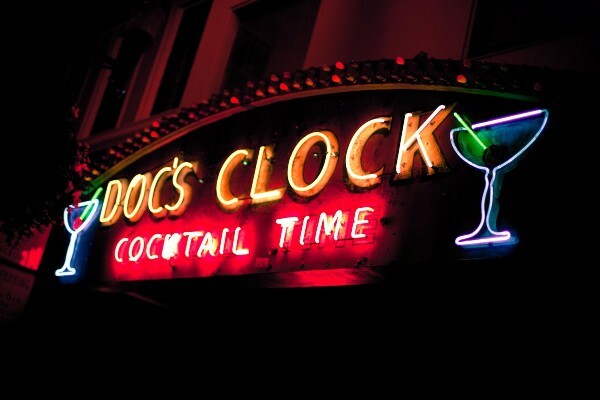 If nothing else keep drinking at Doc's. Our community is amazing! Thank you, thank you, thank you from the bottom of our hearts! AND THEY SAID, "LET THERE BE LIGHT!" and it was amazing!! Translation: We've got neon, y'all! This calls for a celebration! Please join us Tuesday, September 18th at sundown (around 7:30pm) as we flip the switch on our sign for the FIRST TIME, and welcome it to it's new home. We couldn't have done this without every single one of you beautiful humans, so once again, let us extend a humble heartfelt THANK YOU!! It's been a long 164 days since our amazingly successful fundraiser to save our sign. Work has been slow going, but we're able to see the light at the end of the tunnel! 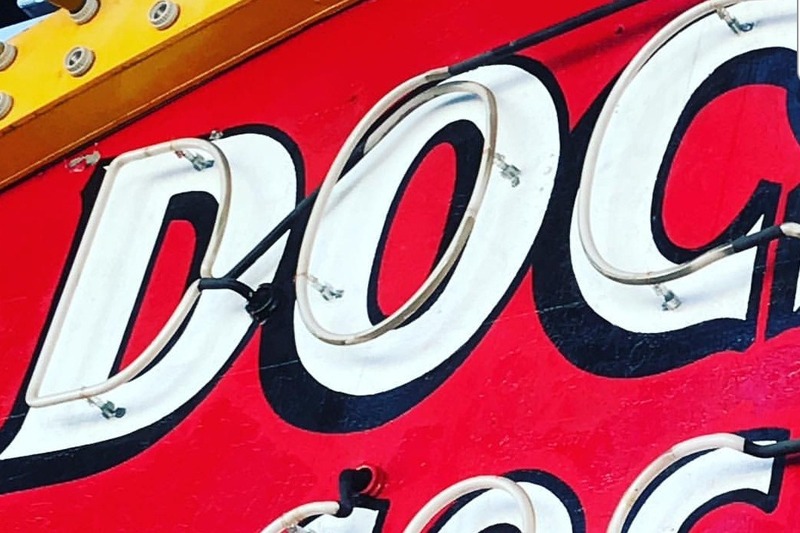 Stay tuned here and on Instagram to learn a out the long awaited, upcoming sign lighting party. Many thanks again to everyone for helping us get to this point. We love your faces!! Thanks to Lucky 13, Ivy Room, Shambhala, Molotov's, Sycamore, Willows, Benders, Foreign Cinema, Alamo Drafthouse, Nick the hairdresser, Elbo Room, and everyone else who contributed to our fundraiser. Our community is amazing beyond words! As long as good souls like this populate San Francisco, San Francisco will stay weird and beautiful and ours. The online brought in over $8000, the bar and auction over $4000 and a fundraiser held by our friends at Alamo Drafthouse brought in $1000. More money keeps coming in too! We will pull this off we just need the permits from the city, and we should know about that as soon as early next week.